5-A-DAY PORTIONS One serving of this recipe counts as 0 of your 5-A-DAY target of fruit and vegetable portions. Drain and rinse the chickpeas, then pat dry with paper towel. Place all ingredients into a food processor. Wizz until smooth and former into a burger/ball shape depending on your preferred size. 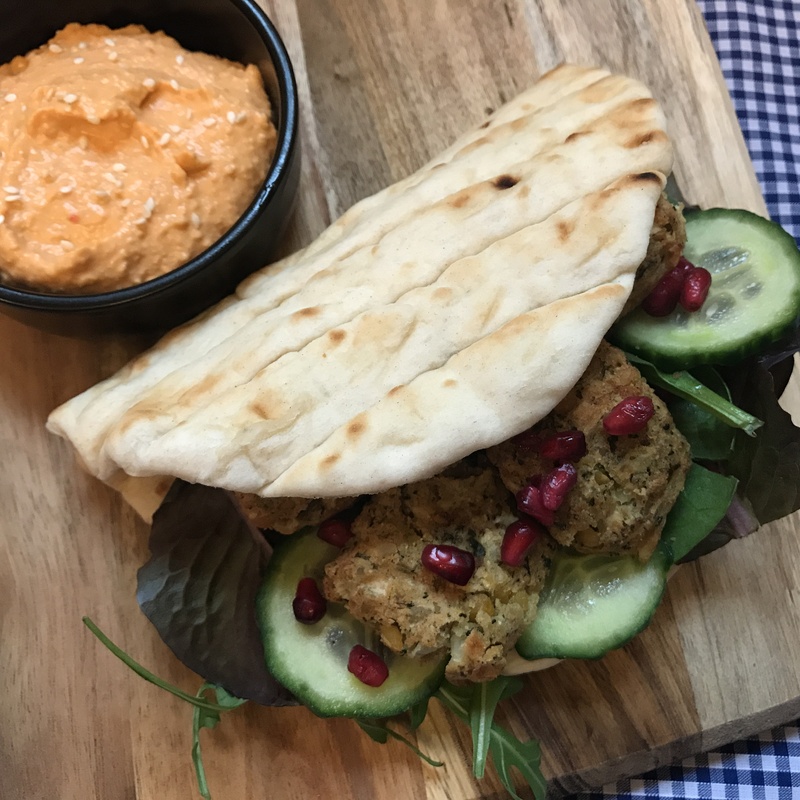 Place on a lightly grilled flatbread or in a pitta with some lettuce, pomegranate seeds and homemade hummus and enjoy! Place in a food processor with lemon juice, water, cumin, garlic, tahini and salt. Wizz until it makes a thick paste. Empty into a dish and top with sesame seeds.